An elementary student came by the Studios on the Park last week and asked me how I got the inspiration for my prints. 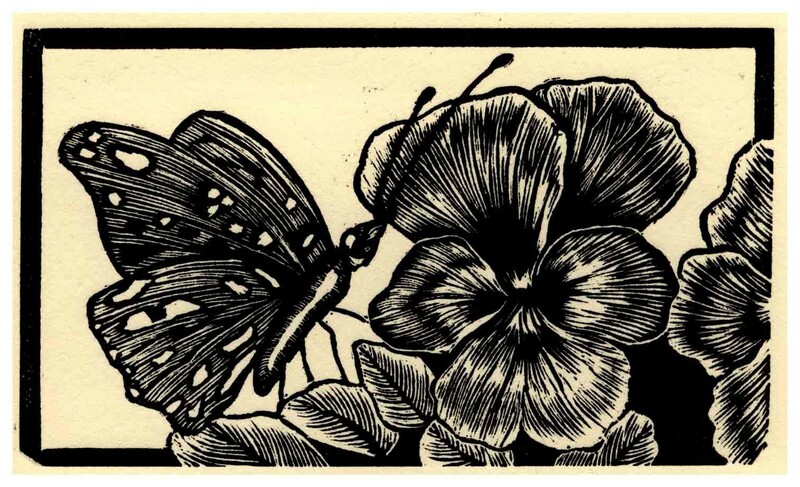 Well, for this print, the inspiration was someone asking if I could make a print with a butterfly, pansies, and a lady bug. Well, here is that print with the lady bug hiding behind the pansy.